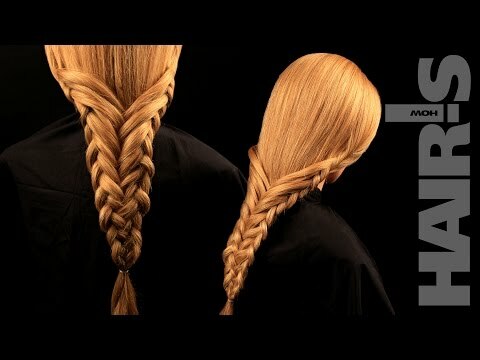 Step 2: Begin to weave a normal braid. 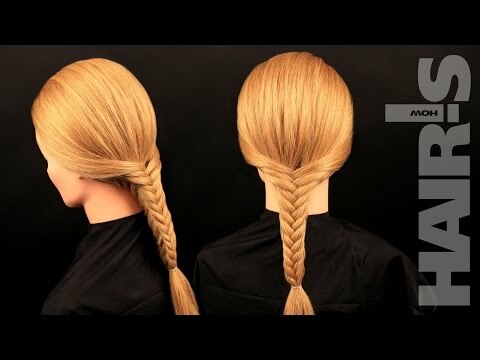 Step 3: Continue to weave a normal braid, but now with the tieback. 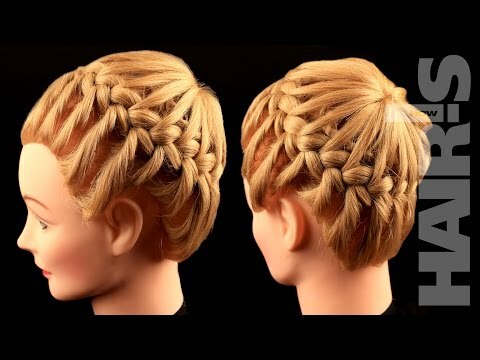 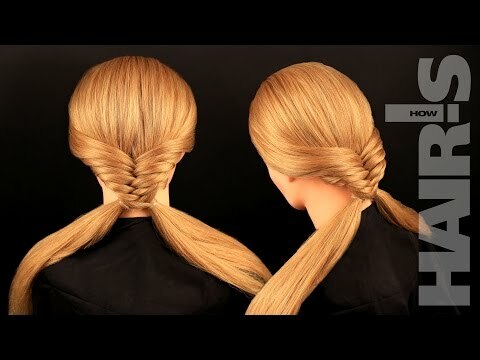 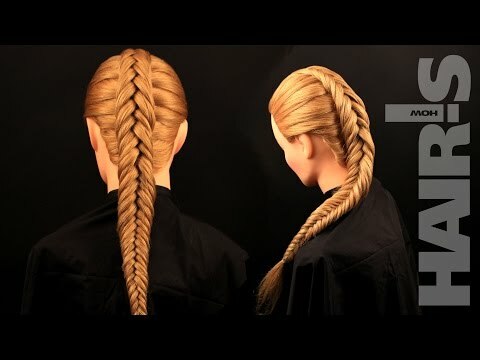 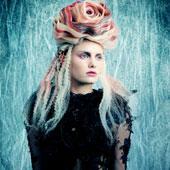 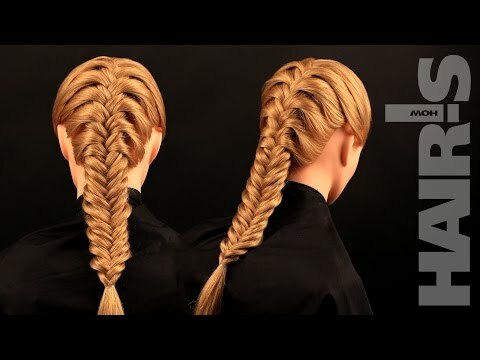 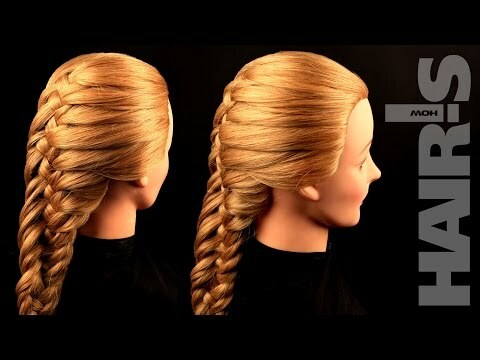 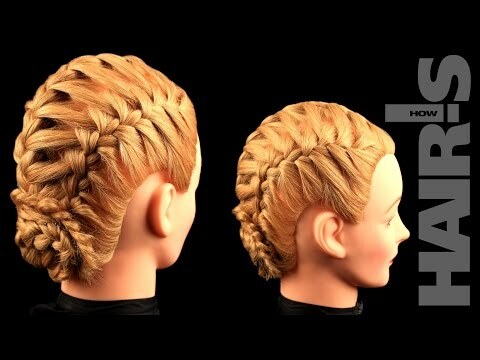 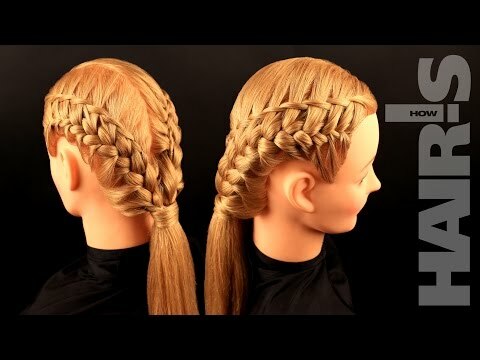 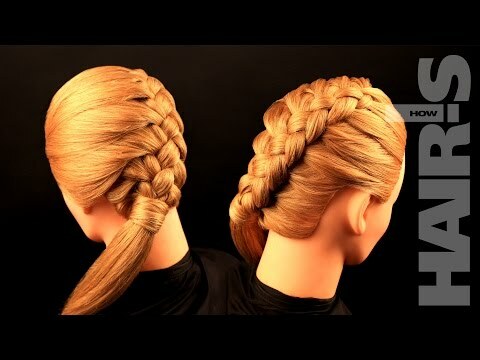 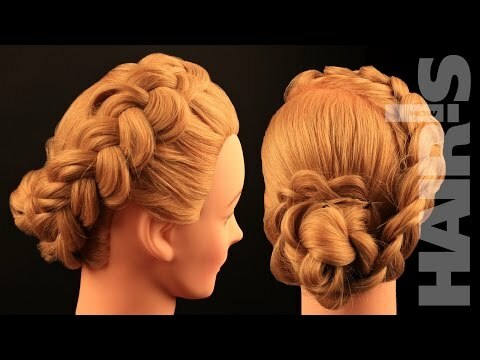 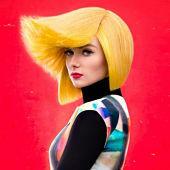 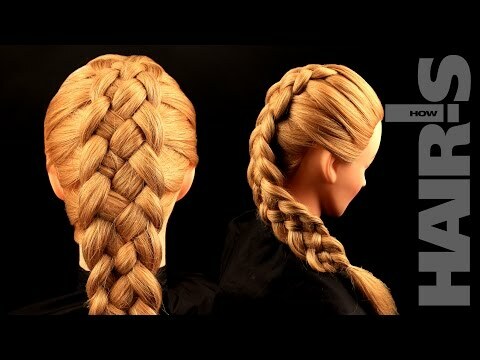 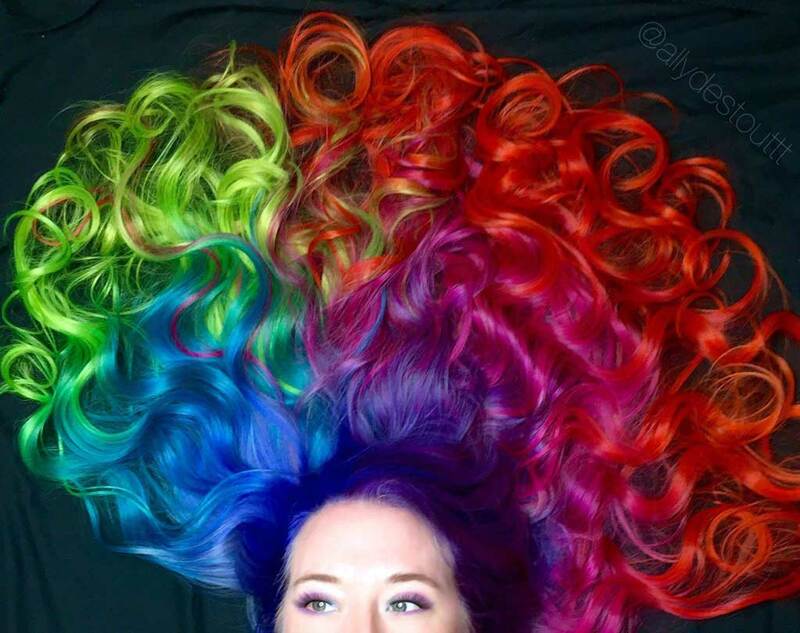 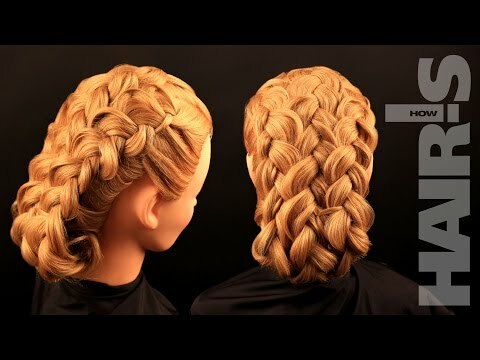 To do this, after braiding the left strand over the center piece, add in a strand of loose hair from the left side. 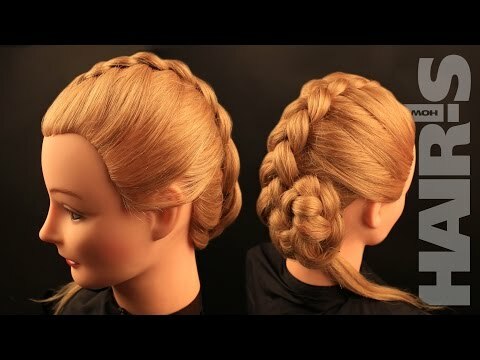 Step 4: Put the right part of the braid in the middle, and now take the loose hair from the right side and combine it with the right braid strand. 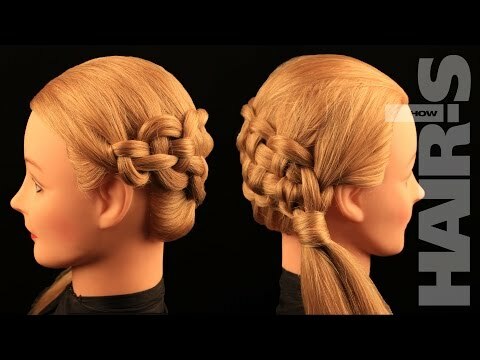 Step 8: Fold the braid into an asymmetric coil bun by rolling it upwards towards the base of the neck. 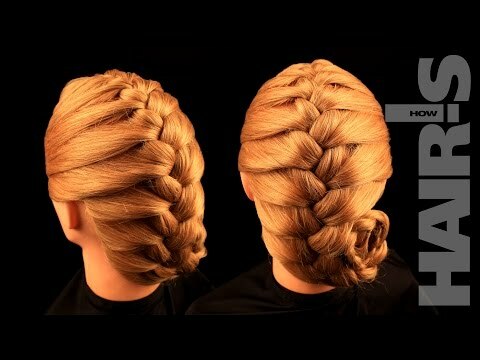 Secure bun with bobby pins.